This recipe for Korean Spicy Pork will have your family lining up for seconds! The perfect balance of sweet and spicy, served with Pajeori (Green Onion Salad) for a delicious pairing. Make this Glazed Pork Sirloin Roast the centerpiece for your family dinner! Perfectly juicy, tender and topped with a Pineapple Vinaigrette. Get ready to feast your eyes! Chef Keoni combines the delicious flavors of pork, beef, butterfish & sweet potato to make the Ultimate Laulau. Hawaii's largest, locally owned, grocery retailer. Food, Family & Friends. --"Treat our customers well and they will come back." 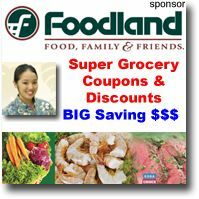 Foodland Super Market, Ltd., Hawaii's largest, locally owned, and operated grocery retailer, was founded by the late Maurice J. "Sully" Sullivan in 1948. Sully had a great vision - that of a family-run, community-focused company that put customers first. Today, with 32 stores and more than 2,500 employees, his vision is still very much alive. Through our responsiveness, innovation and service, we strive to deliver outstanding shopping experiences for our customers while working to build a better Hawaii. We firmly believe that our community benefits from having a strong, local supermarket. And we are committed to being a leader in serving Hawaii's shoppers. We promise to end long checkout lines, guaranteed. If you have three bags or more of groceries we promise to carryout your groceries for you. 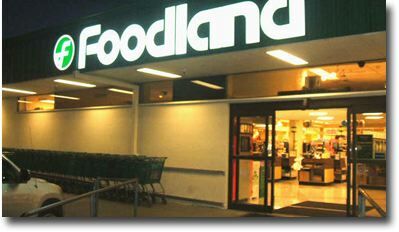 Community Programs - Giving back to the community has been part of Foodland's core philosophy since 1948 when Maurice J. "Sully" Sullivan founded the first Foodland store. Premium Choice Certified Angus Beef - Less than 8% of all beef is good enough to earn the Premium Choice Certified Angus Beef® label, and it's only available at Foodland. Double Money Back Guarantee - We guarantee you'll love the fresh meat and seafood in our stores or we'll double your money back! Some restrictions apply. Many Ways to Save - We provide weekly ads, in-store specials, Maika`i card savings, email offers and more - all to help you save money. Maika`i Card Program - Hawaii's most powerful way to save - the Maika`i Card. You can earn valuable rewards and save money on thousands of items everyday.